and current Interim Minister Rev. John Marsh. 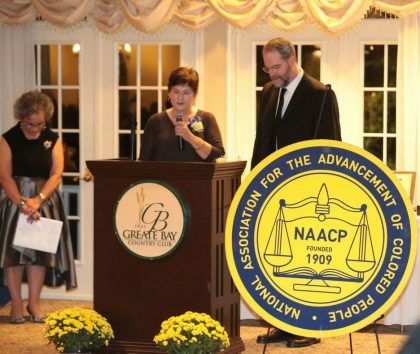 UUCSJS has been honored by the Pleasantville chapter of the NAACP in the category of Organization/Business for upholding ideals consistent with the NAACP’s aims. This was the result of being at the forefront of the year-long Black Lives Matter – AC series of workshops and other racial justice activities. 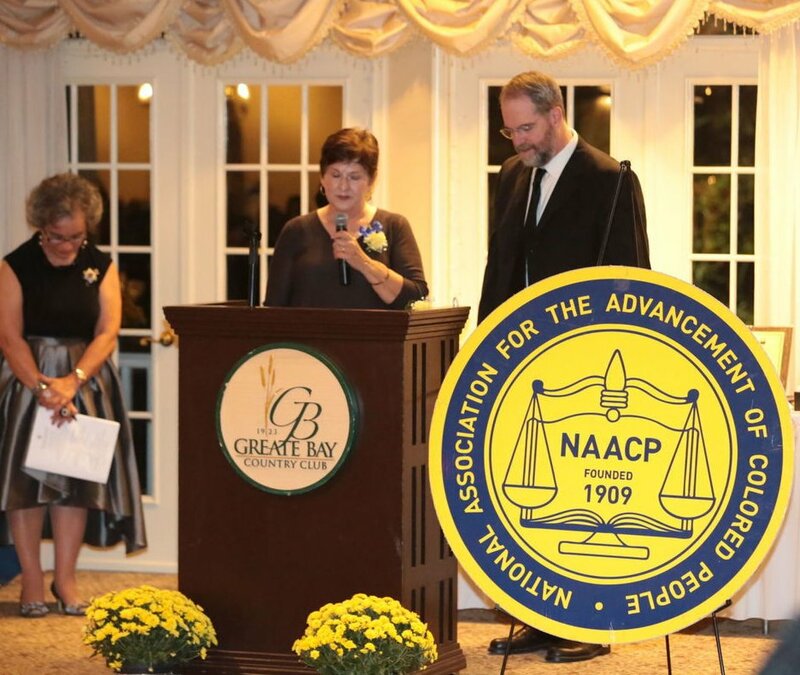 Check out some of the great pictures of the Awards Dinner from the Press of Atlantic City.